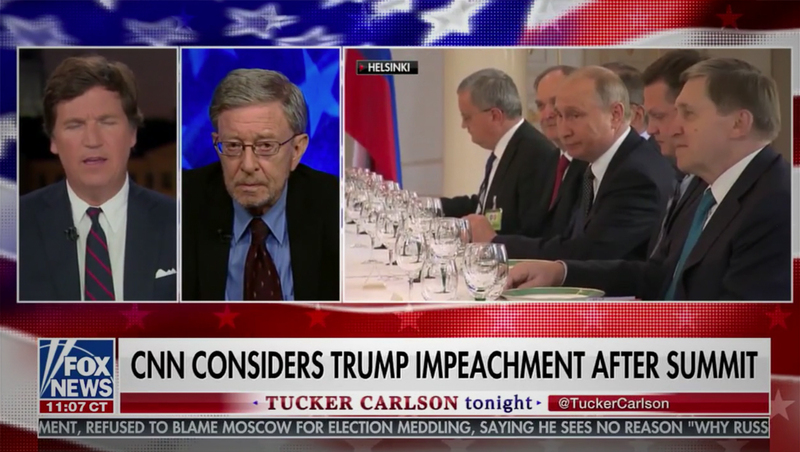 Tucker flashed this banner on Fox's screen: "CNN CONSIDERS TRUMP IMPEACHMENT AFTER SUMMIT." Huh? My brothers started laughin. "Wait, Brian, do you get a vote?!"